Elli is simple block heel by Billini. 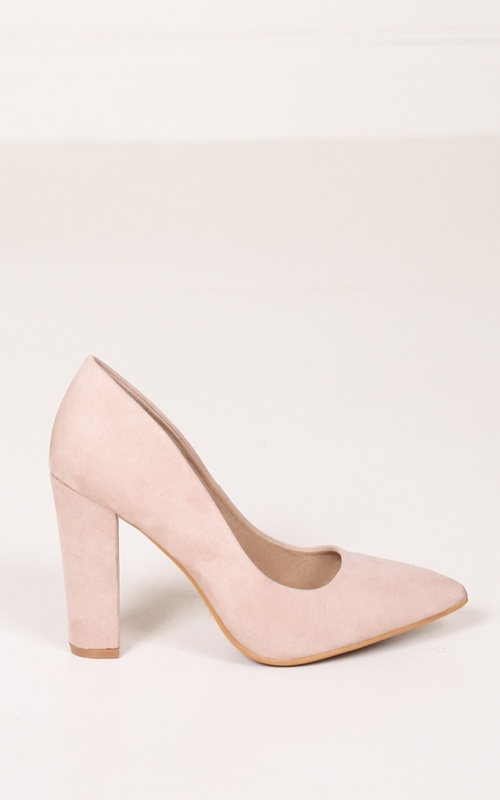 It features a sleek pointed toe styling and suede upper. Heel height is 10cm / 4in.